The importance of milk can never be overestimated, especially when it comes to Pakistan. It is an essential part of our diet. Apart from direct consumption, milk is also used in making a variety of traditional and non-traditional dishes at our homes. As the holy month of Ramzan is now approaching, I am sure that milk consumption in urban and rural areas of the country will increase dramatically as it is a popular belief among the people that consuming milk either in its purest form or from products made with milk such as lassi, fruit shakes and smoothies will help them fast in this hot weather without facing any inconvenience. Two of the cereals which are specifically Ramadan-centric are Khaja and Pheni. Lovers of Khajla or Pheni buy them from the shops and during Sehri, they crush it and put them in a bowl of milk and eat it. Mothers are always on the lookout for finding ways of adding milk in their children’s daily diet. Being a mother, my spouse make omelet for my kids and she always make sure to add Olpers milk in this omelet which not only gives it a unique texture but also enhances its flavor. When it comes to milk industry, we are indeed a lucky nation. Milk is perhaps one of the few commodities in Pakistan of which the demands are satisfactorily met. Pakistan is the 4th largest milk producing country in the world. According to economic survey of 2016-17, Pakistan produces more than 45.227 million tones milk per annum. Unfortunately, the milk sector in Pakistan is highly disorganized. Although this industry caters to a huge percentage of the population, most of the people are actually unaware regarding the proper methodology in taking care of their livestock. Not surprisingly, our animals also suffer from malnutrition. The gawalas, instead of looking after their animals properly, resort to illegal means like injecting buffaloes with Oxytocin to get more production without realizing the harmful impact this treatment has on the animals and also on the milk produced by these injected animals. The unhygienic living conditions of the animals make matters worse. The udders of the animals are dirty which then affect the milk taken out right from the beginning. During the whole process of supplying milk from the supplier to the end consumer, milk is treated with various chemicals and processes which further add on impurities. It is doubtful that the milk you consume provides the same amount of nutrition as it was supposed to. While the government was unable to tackle this milk mafia, fortunately for the consumers, private sector decided to venture in this milk producing business. Packaged milk producing companies like Engro Foods are taking various steps to train the farmers in taking care of animals. Engro Foods vaccinate the milk producing animals and they make sure that the farmers dispose of the milk which has been left open for a few days. And to cover their losses, Engro Foods pay the farmers their decided amount. Rani the cow , which was introduced by Olpers milk in their recent TVC along with hundreds of other cows, is being kept with love and care. They are fed with the best available food which is full of nutrition and are given the best possible environment to live in. Milk collected by Engro food from various sources is brought to the factory and after going through stringent tests and procedures, Olpers packs this milk with utmost care to preserve its natural goodness and supply it to the consumers living across the entirety of the country to brighten up their mornings. 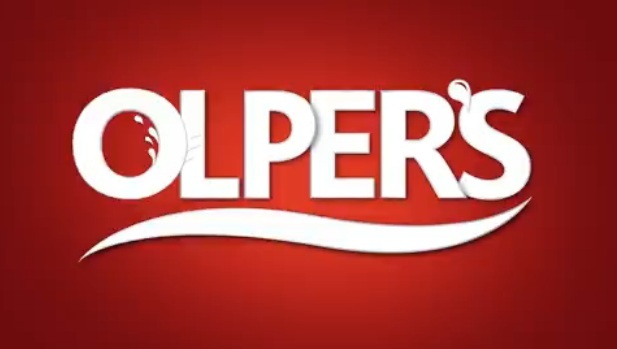 Olpers is indeed taking a step in the right direction. We need many similar initiatives from private sector and from the government. It is to be hoped that in the upcoming years, the dairy sector of Pakistan will go through drastic improvement and give Pakistan an even better recognition in global market. Karachi Chronicles talks about activities pertaining to sports, lifestyle, fashion, cinema, music, food and marketing campaigns. If you have any interesting or engaging piece of writing, please share it with us and we will publish it if it falls in the domain of our editorial policy. The Donkey King – Finally an Animation Film That Is For Children & Children at Heart! !